I was totally amazed when Lola sent me pictures of some recent embroideries. We often have preconceived ideas of how embroidery can be used and forget to think beyond those boundaries. I will try to never do that again!! Wonderful creativity Lola. I love the way she used designs from the above Rose Window and added to them. Wow! That’s awesome. 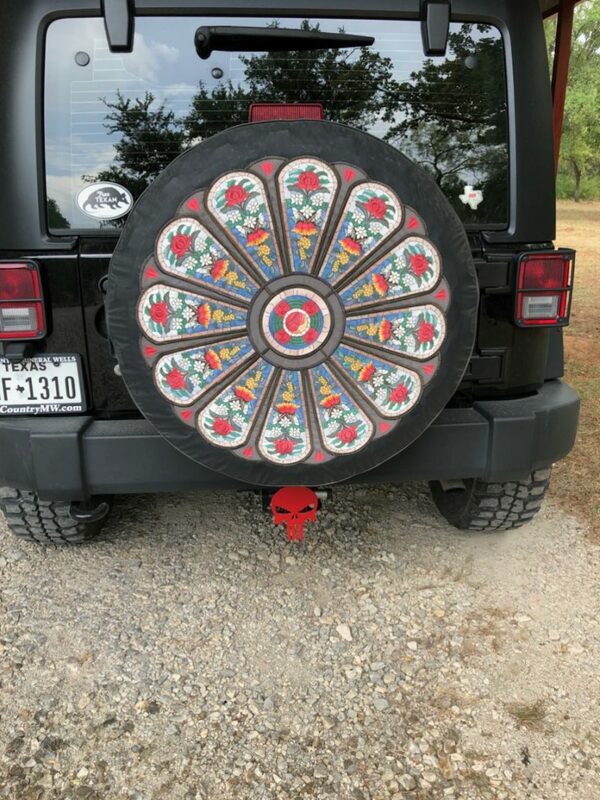 Did she make the wheel cover or embroider a purchased one? I made the first one but the extreme Texas sun faded it out so I have now purchased a vinyl one and hope I have better luck. 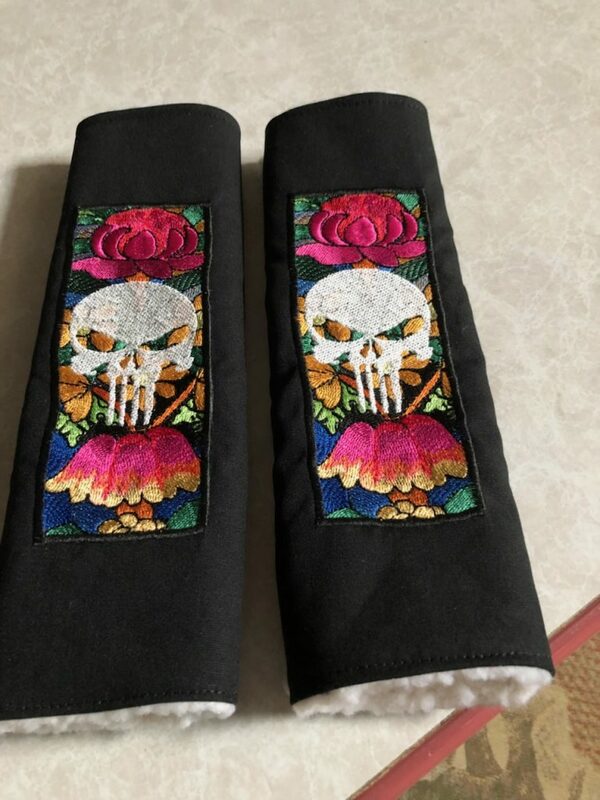 I do not know if it is the case but perhaps there is a product you can spray or paint over the embroidery to protect it from the sun. Clear of course. Good luck, even faded I am sure it looks great.